Brittani and David’s wedding at The Wren’s Nest was one of the most relaxed weddings I’ve ever had the pleasure of photographing as a wedding photographer in Nashville, TN. Even with the threat of rain (shoutout to Hurricane Nate for waiting to reach us until after the reception started! ), Brittani and David were as cool as cucumbers. After Brittani put on her GORGEOUS, long-sleeved, lacy wedding dress that fit her like a GLOVE, we headed up to the ceremony site- a beautiful clearing in the woods adorned by string lights. David’s smile was about to stretch off of his face, he was that happy to see his beautiful bride! Shout out to The Wren’s Nest and Hailey Kornman of HK Weddings and Events for being such a pleasure to work with! Also, HUGE shoutout to my second photographer Jamie Chura for being such a rockstar! Laura K. Allen is a Nashville TN Wedding & Portrait Photographer that specializes in Nashville Wedding, Engagement, & Portrait Photography, serving Nashville, Franklin, Madison, Hermitage, Mt. Juliet, Bellevue, Brentwood, Hendersonville, and surrounding areas. Destination Wedding Packages available. This whole wedding is amazeballs! You captured their special day so perfectly. I’m not just saying that because you were my wedding photographer too, but they couldn’t have picked anyone better for the job. This newly married Nashville, TN couple will cherish their gorgeous wedding images forever. So, I just got engaged over Thanksgiving! I don’t know if you remember me, but you did my bestie’s wedding photos. I fell in love with all the images you took for her and knew immediately knew that I wanted to book you as my own wedding photographer. We’re in Franklin, but we know we want the wedding in the heart of Nashville, TN. I’m looking forward to hearing back from you so we can get on your calendar. What a beautiful couple, I love all of the earth tones. The way you captured this wedding is so lovely, clearly you are the most talented nashville tn wedding photographer! These wedding photos are gorgeous! This couple looks so happy, you are truly the best photographer in all of Nashville TN! You are my favorite Nasvhille TN wedding photographer. Great work!! You are the best Nashville wedding photographer at capturing the tiny details. I always give your name out to people in Tennessee looking for an engagement or wedding photographer. 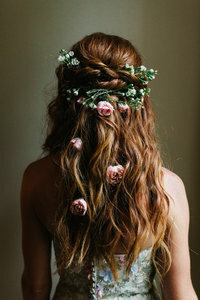 I’ve been searching for a wedding photographer in Nashville, TN! Google lead me straight to this blog and I know I’ll be speaking with you soon, your work is incredible! 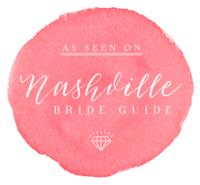 Nashville TN Wedding & Elopement Photographer Laura K. Allen is based in Nashville, TN and photographs weddings located in Tennessee including Brentwood, Franklin, Hermitage, Mt. Juliet, Lebanon, Hendersonville, Madison, East Nashville, Downtown Nashville, Bellevue, Belle Meade, Columbia, Gallatin, and surrounding cities. Laura K. Allen is available for destination weddings & elopement weddings in the US, UK, Caribbean, Iceland, Norway, Italy, France, Spain, England, Scotland.